It seems, on some levels, a simple question. After all, “al Qaeda” is a term much bandied about by the public, politicians and commentators. Indeed, it’s now one of the best-known organizations in the world. Yet there is a great deal of ambiguity about what exactly constitutes al Qaeda. Is it a terrorist organization run in a regimented top-down fashion by its CEO, Osama bin Laden? Or is it a loose-knit group of Islamist militants around the world whose only common link is that many of them trained in Afghanistan? Or has al Qaeda, the organization, morphed into something best described as al Qaeda, the movement — a movement defined by adherence to bin Laden’s virulent anti-Westernism/anti-Semitism and propensity for violence? Is “al Qaeda” all of the above? Defining our terms on al Qaeda is more than a matter of semantic interest. If we can better define what al Qaeda is, we may better understand the threat it poses at a critical moment. First there is al Qaeda, the organization. Most non-specialists are surprised to learn that al Qaeda has only 200 to 300 members. These are the men who have sworn bayat, an oath of allegiance to serve their emir, or leader, bin Laden, even unto death. (It is al Qaeda, the organization, that carried out the Sept. 11 attacks.) The second concentric ring spreading out beyond the inner core of al Qaeda consists of perhaps several thousand “holy warriors” trained in the group’s Afghan camps in the terrorist black arts of bomb making and assassination. Beyond this circle are tens of thousands of militants who received some kind of basic military training in Afghanistan over the past decade. Many of these trainees went to Afghanistan for what amounted to little more than a jihad vacation. Most were to be cannon fodder in the Taliban’s war against the Northern Alliance. Think John Walker Lindh. Finally, untold numbers of Muslims around the world subscribe to bin Laden’s Manichean worldview that the West is the enemy of Islam. Some of these, too, may be prepared to do violence. The investigations of the recent terror attacks in Turkey, Saudi Arabia and Iraq are ongoing, but already it seems that all of the various “al Qaedas” described above had some role in the attacks. In the case of the Nov. 8 bombing in Riyadh, Saudi officials say al Qaeda itself planned the attacks. This is plausible, as al Qaeda had already struck in Riyadh in May in a series of attacks that killed 34 people. In the case of the Nov. 12 attacks in Nasiriya, Iraq, that were directed at the Italian presence there, Italy’s defense minister, Antonio Martino, has said that Saddam Hussein loyalists and al Qaeda members were to blame. The Nasiriya attack, then, is not the work of al Qaeda itself but of the wider circle of jihadists affiliated with al Qaeda who will cooperate with groups on the ground with purely local interests such as Hussein loyalists. The attacks on synagogues in Istanbul Nov. 15 were carried out by two Turks. Afterward a group called the Abu Hafs al-Masri Brigades claimed responsibility. Abu Hafs is the nom de guerre of al Qaeda’s former military commander, who was killed by a U.S. airstrike in Afghanistan in November 2001. The synagogue attacks seem, then, to have been carried out by one of al Qaeda’s many affiliates, recruiting local talent on the ground to execute the operation. This also appears to be the case for subsequent attacks against a bank and the British consulate in Istanbul. These various attacks may well represent the future of “al Qaeda” operations: Some attacks will continue to be planned by the terrorist organization itself, others will be carried out by affiliate groups acting in the name of al Qaeda and additional operations will be executed by local jihadists who have little or no direct connection to al Qaeda. The last is perhaps the most worrisome development, because it suggests that al Qaeda has successfully turned itself from an organization into a mass movement — one that has been energized by the war in Iraq. President Bush reportedly keeps photos of the 20 or so top terrorists in his desk, and when one of them is apprehended or killed writes an X through his picture. That might work for a Mafia crime family: Arrest all the key members and the organization will disappear. But al Qaeda is now a movement based on an ideology. Arresting a movement is quite a different proposition from arresting people. 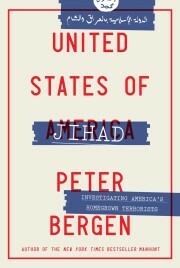 Peter Bergen is the author of “Holy War, Inc.: Inside the Secret World of Osama bin Laden” and a fellow at the New America Foundation.